When I had my first child I dished out a ton of money on a name brand jogging stroller. And let me tell you, it was such a waste of money! Because the stroller was so unbelievably bulky and hard to push, it was never ideal to take anywhere. After having our second child we’ve been on the hunt for the perfect light weight stroller after learning our lesson with our first one. 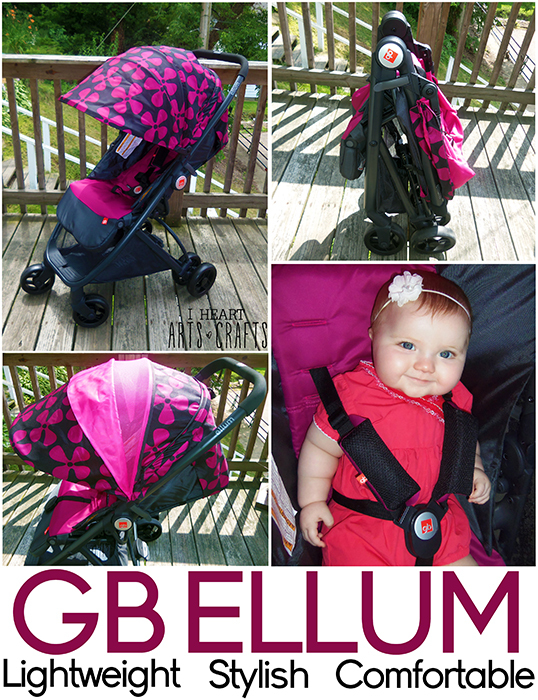 We were beyond excited to finally receive our GB Ellum stroller we ordered online through Babies R Us. The GB Ellum lets you enjoy the luxuries and comfort you would find in a full size stroller but instead in a compact light weight stroller so you get the best of both worlds. We used to dread taking a long our other bulky name brand stroller for family outings but now with our GB Ellum it’s made it so much easier! 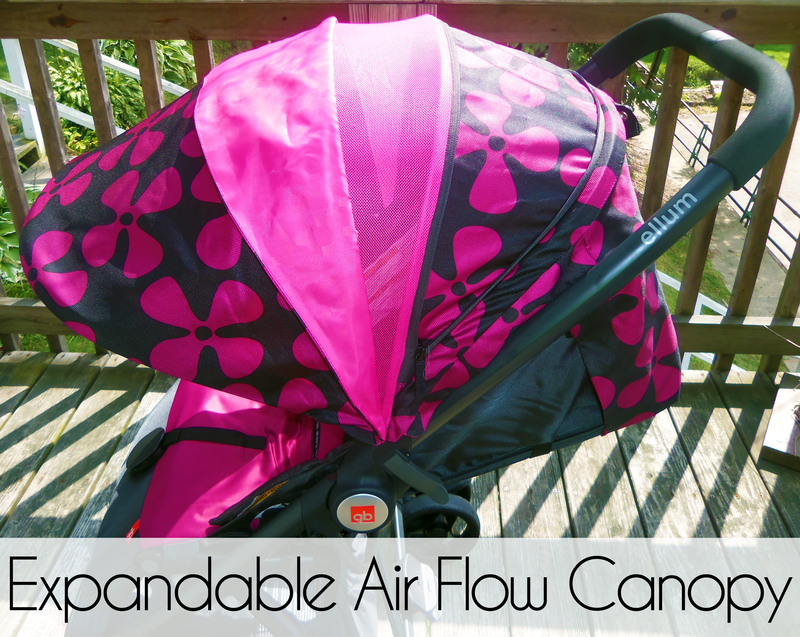 One of my favorite features of the stroller is the stylish expandable air-flow canopy. On these hot summer days my daughter is completely covered up and with the easy removable mesh part on the canopy I can keep an eye on her if she starts to doze off on our long walks. There’s also a large storage basket under the seat with an adjustable leg rest that was big enough to hold my enormous diaper bag and snacks. Another plus is the easy foot activated kick ‘n lift fold, that folds into this great compact size to store just about anywhere! One important factor I look for when looking to purchase a new stroller is how long I would be able to use it, what’s nice about the GB Ellum is you can use it as soon as you leave the hospital with your newborn. 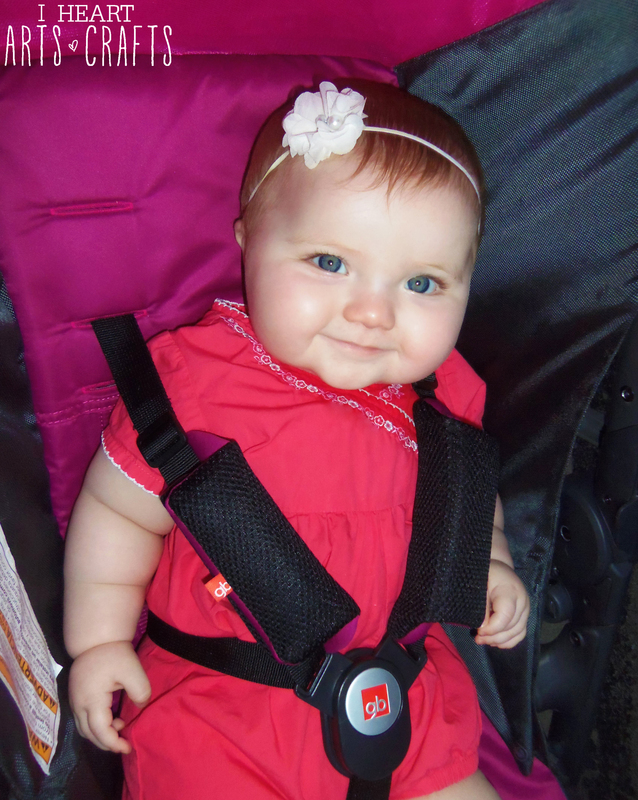 The GB Ellum is compatible with select Graco® and Chicco® Infant Car Seats and goes up to 50lbs. 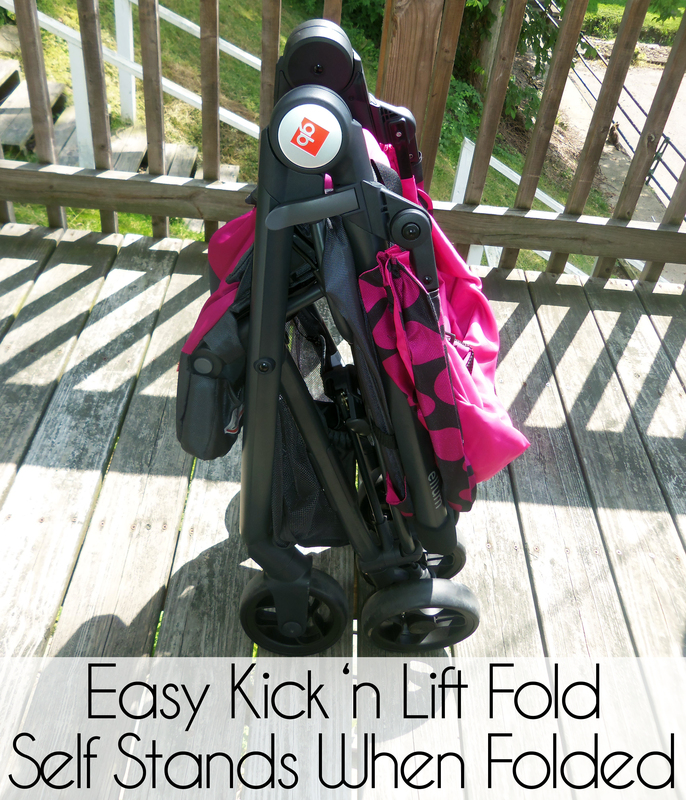 This stroller was so easy to maneuver and glides with ease. We took it to our family outing at a local fair and using it through the large crowds, over gravel, and dirt was still a breeze! Not to mention we had a ton of comments on how cute the stroller is. What are your most important features that you look for when purchasing a new stroller? I love the colors of that stroller. It’s super cute. This stroller is so cute! I love this stroller it looks absolutely cute, wish I had something like this when I had my daughter. 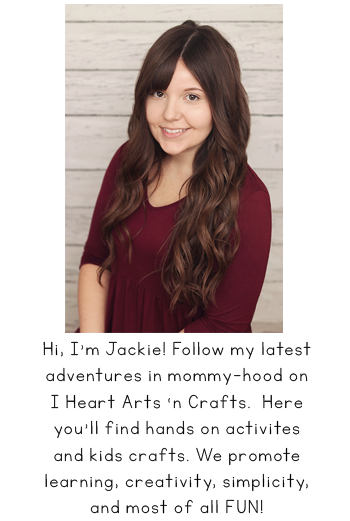 I’ve never heard of this stroller before – thank for sharing! It looks beautiful! That is such a pretty stroller! It folds up so compact too. Very nice! The stroller looks great. And the baby looks happy too! Love the large canopy. They’re never big enough, in my opinion. Thanks for sharing! She looks mighty happy in there. That air flow feature is phenomenal! I love the canopy. 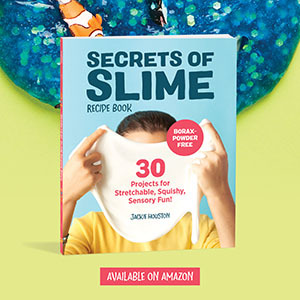 I’ll have to look into this! 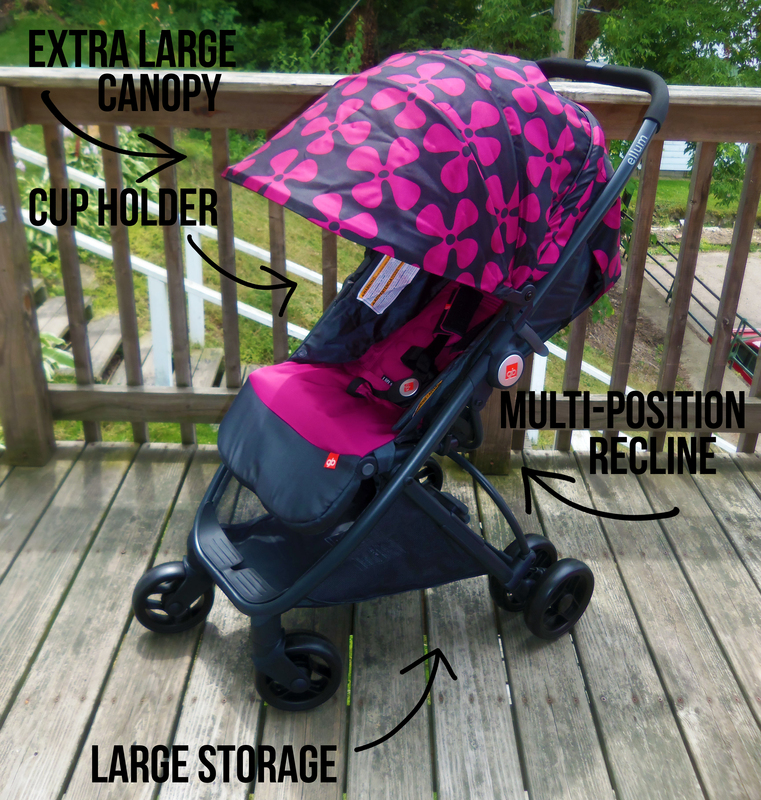 I have not had to purchase a stroller before, but I really like the design of the canopy.